We pride ourselves on being an innovative solutions provider and a dependable partner to our clients. We pursue only the highest standards and have attained certifications from relevant authorities in the industry. Understanding the needs of our clients and putting them first, coupled with excellent competitive pricing strategies has contributed to our steady growth through the years. With our comprehensive engineering solutions and sincere attitude, HPH Engineering is dedicated to work excellence and meeting the needs of our clients. We firmly believe that when our clients excel, we excel. 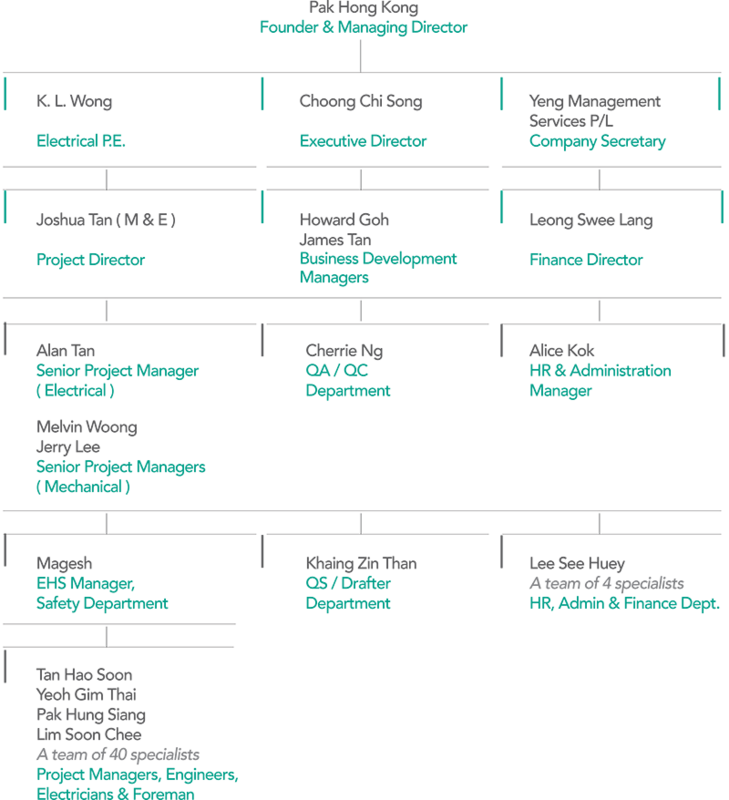 Pak Hong Kong is the founder and Managing Director of HPH Engineering. 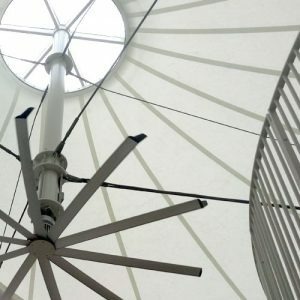 With over 25 years of experience in the engineering industry, Mr Pak has developedextensive knowledge and experience with the business structures, strategies and sound development of infrastructure solutions for various industrial sectors in Singapore. Mr Pak plays a significant role in overseeing all planning and transition developments in the company’s business. His leadership has led to the impressive growth of the company. Joshua Tan joined the board in 2008 and is responsible for charting the group’s overall project business development management. With more than 15 years in the Engineering and the Aviation sector, Mr Tan has been involved in all levels of project management with emphasis on developing and maintaining client relationships. 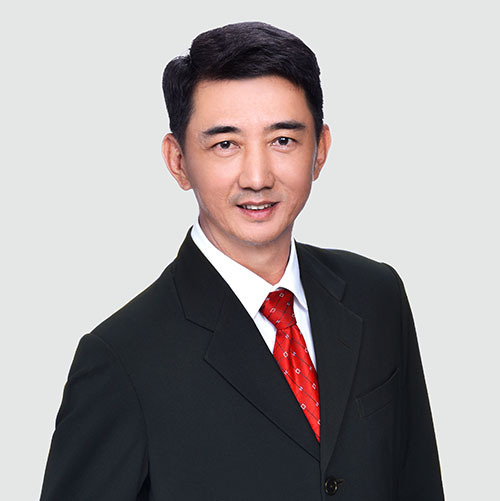 Tan Li Lai joined HPH Engineering in 2000 and has a vast knowledge and expertise in the construction industry. Armed with more than 12 years of Electrical and Electronic Engineering experience, Mr Tan’s expertise lies in themanagementof complex projects ranging from urban planning, to high rise, mixed use, residential, hospitality, commercial and waterfront developments. Choong Chi Song joined HPH Engineering during its inception in 1994 as an electrical engineer and rose up the ranks through the years. 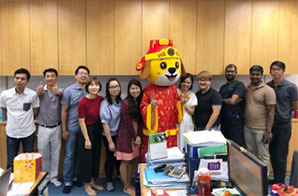 Today, with more than 15 years in the engineering industry, Mr Choong manages the daily operations and enjoys a long, successful career marked by numerous high-profile accomplishments. With his impeccable engineering experience and expertise, Mr Choong has set impressive standards for the company. Our operations are kept running smooth with dedicated departments and personnel committed to serving the various needs of the organisation and our clients. HPH Engineering aims to forge long-term partnerships with our clients by serving with sincerity and providing them with quality solutions at competitive prices. An integral part of HPH Engineering is our set of core values which governs our beliefs and the way we run our business. An organisation is nothing without its people. At HPH Engineering, we believe in providing our staff with opportunities to realise their full potential. We are committed to investing in, developing and retaining our staff through close mentorship, on-the-job training and external courses. 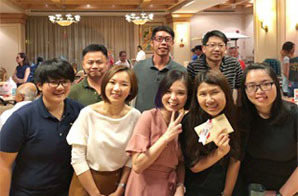 For a holistic work environment, we aim to build greater inter-departmental bonds through recreational and team building activities.